Businesses spend hundreds even thousands of dollars to develop aesthetically-pleasing web sites. They spend even more on banner ads and other forms of web marketing. However, those same businesses often neglect the one area that could be the most beneficial to their site’s success: search engines. A recent study at a technical university discovered that 85% of consumers looking for products or services used search engines to find them, but only the ones on the top 30 generated a sizable stream of traffic. Here are a few reasons why we consider SEO a very important marketing source? Search engines create more awareness among your audience about you Web site than all advertising combined including banner ads, news papers, television and radio. You may use banner ads or paid search engine placement, but those would work wonders only for a while. Once the marketing budget is exhausted, the site disappears. Consumers don’t trust and ignore blatant advertising; they tend to purchase from a site ranked high in the search engine results and sites that are famous than from a conspicuously placed advertisement. A high page rank in major search engines means more people are most likely to end up on your web site when the search for keywords relevant to your products or services. We analyze your competitor’s website and develop keywords and description to outwit them. 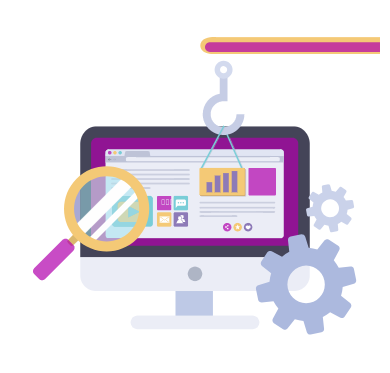 Our team of highly professional experts can help companies improve their site rankings, increase their traffic, and boost up your site’s profitability. Choosing an amateur for the job could even result in your site getting black listed in the search engines. Our team of experts, know the latest tips in the practice for high ranking and they can also get better results faster.